Perinatal human immunodeficiency virus (HIV) infection contributes to an increase in morbidity and mortality among children in their first years of life, and lack of antiretroviral treatment (ART) and late ART initiation has seen more than half of the infants infected with HIV die before their second birthday. The first step in the provision of early infant diagnosis (EID) services and linkage to care among HIV exposed infants is early identification; however this still remains a challenge in sub-Saharan Africa (SSA). Access to HIV diagnosis for HIV-exposed infants and children is a challenge in SSA because of the processes involved in HIV detection that require use of nucleic acid amplification tests conducted by trained personnel in centralized laboratories usually based in urban centers. 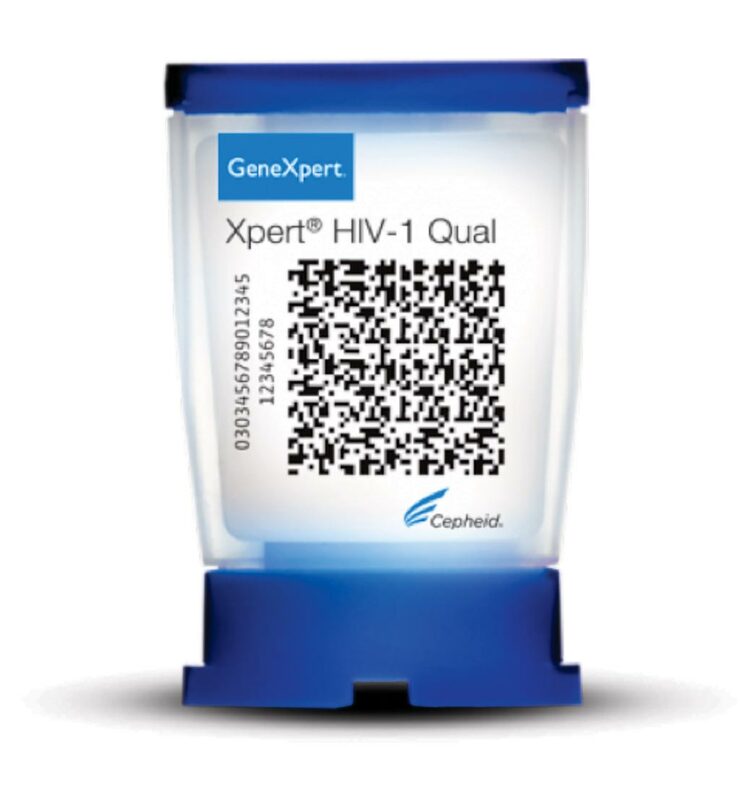 Image: The GeneXpert HIV-1 Qual is a highly sensitive HIV qualitative test is needed for detecting HIV infection in pediatric patients 18 months of age or younger (Photo courtesy of Cepheid). Scientists at the Kenya Medical Research Institute (Kisumu, Kenya) and their colleagues screened and evaluated 3,814 mother-infant pairs who presented to clinics and hospitals in a town in Kenya in 2016. In the six-month timespan of the study, there were 921 infants enrolled who were known to be exposed to HIV based on the mother's HIV status. Dried blood samples (DBS) samples were collected from HIV exposed children less than18 months of age enrolled in a cross-sectional study. The team performed Rapid HIV testing using serial tests with Determine Rapid HIV-1/2 Antibody test followed if positive by Unigold Rapid HIV test kits. The team performed a field evaluation of GeneXpert HIV-1 Qual. The GeneXpert HIV-1 Qual Assay was performed on six different GeneXpert instruments by 10 trained laboratory technologists. The test was compared with the gold standard for EID PCR, COBAS AmpliPrep/COBAS TaqMan HIV-1 Qualitative Test, v2.0 assay (CAP/CTM HIV-1) qualitative PCR. The scientists performed a total of 969 POC tests on 921 (24.6%) children who were HIV exposed. Approximately 15% of the children were tested as newborns and 49% of them tested at routine EID visit of six weeks. Out of the 921 exposed infants identified throughout the study, 30 were found HIV positive through both the Roche CAP/CTM and near point of care (GeneXpert), leading to a mother-to-child transmission (MTCT) rate of 3.3%. A total of 969 results were correctly assayed, with a final sensitivity and specificity of 94.1% and 99.8%, respectively, with two false negative PCR found. The POC gave an error rate of 0.7%, (7/969 samples) and all were resolved after a repeat test. The authors concluded that their study demonstrated that the GeneXpert POC EID assay has a high sensitivity and specificity and performs well in a field setting with high coverage of ART prophylaxis among mothers and children. The sensitivity and specificity of 94% and 99% respectively, does reflect the true performance of the device even though they had nine discordant results with Roche, seven were what Roche considered as “reference test” errors. The study was originally published on December 27, 2018, in the journal Public Library of Science ONE.